This is where the contacts email is stored. Title, First Name and Last Name is defined here. These will define the custom links Title, First Name and Last Name. 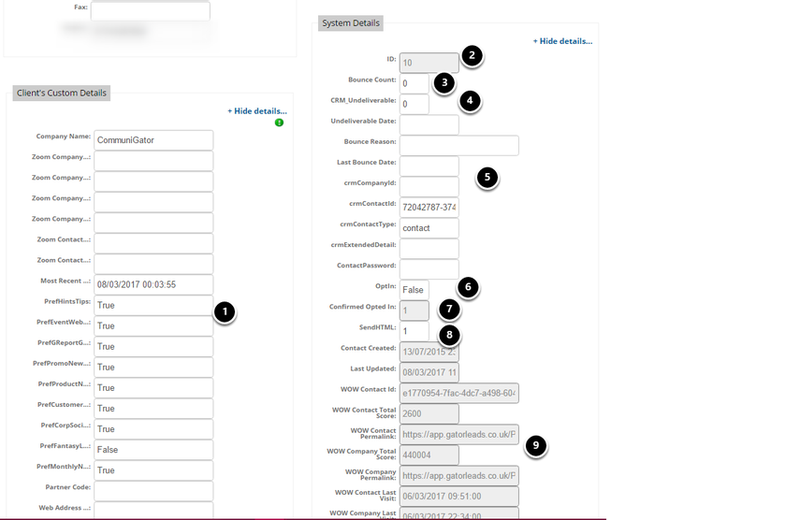 These address parameters store the contacts physical address. The contacts phone details are stored here. Basic company information is stored here. Any custom fields are defined here. These can be added manually or via a CSV import. This is the number of times the contact has soft bounced. When this hits 5, it is reset to 0 and CRM_Undeliverable becomes true. This defines whether the contact can receive any emails. The fields can be defined, but they are usually Y/N or True/False. 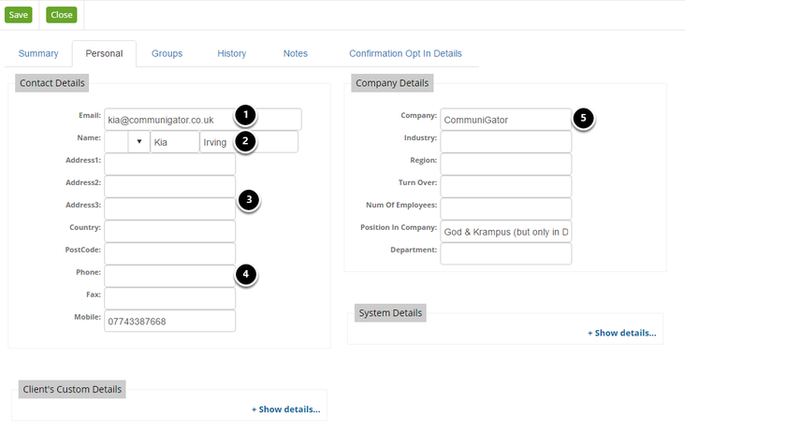 This is information provided by a CRM system when integrated with CommuniGator. The OptIn field is used for unsubscribes. The parameters are defined by the account (Tools -> Unsubscribe). The confirmed opt in field. Has the contact confirmed to receiving your communications. SendHTML defines whether a contact can receive HTML emails. Should this option be set to 0, they will only receive text emails, whereas 1 will send an HTML email with the text version hidden behind in case their server chooses to hide HTML. This is the section that WOW uses if integrated with CommuniGator.